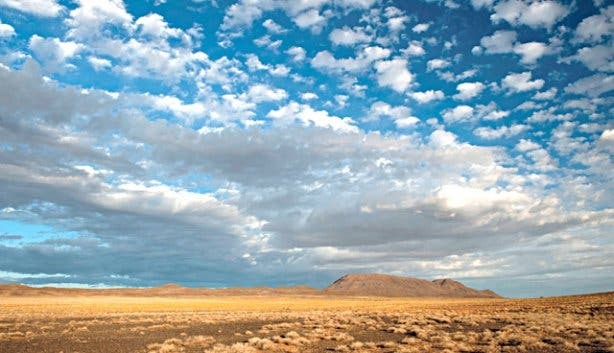 There is something innately appealing about wide open spaces filled with nothing but animals, birds and landscapes that stretch as far as the eye can see. Even the most urban of city lovers need time out to switch off their smartphones, power down their laptops and just be. 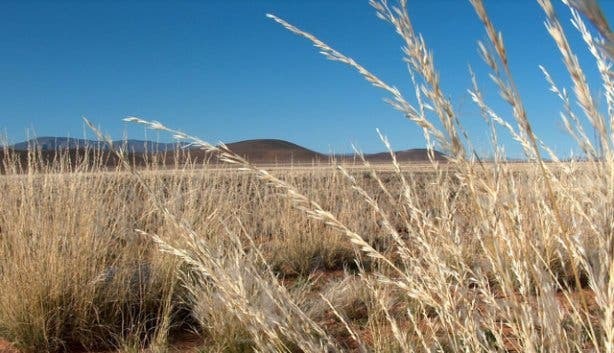 The Tankwa Karoo National Park is 143 600 hectares of Karoo veld in a basin between the Cederberg mountain range and the Roggeveld. Here, you’ll find space, solitude and tranquillity: everything you need on a holiday. 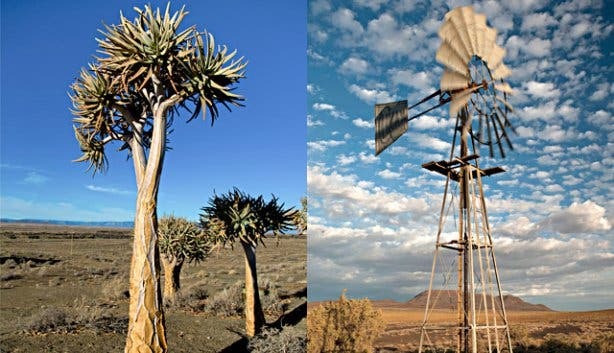 The park straddles the Western Cape and Northern Cape boundary with most of the park lying within the Northern Cape Province. Due to recent acquisitions, around a fifth of the park’s total area now includes mountainous cliffs and higher lying areas of the Roggeveld Escarpment, thereby giving a whole other dimension to the park. Stop at Ceres and stock up on essentials (and fruit juice, which the area is famous for), it’s the last town before you enter the park (when coming from Cape Town). Letsie advises driving in a high clearance vehicle as the roads can be hard to navigate, but not impossible, on cars with low bumpers. Switch off – turn off your cellphone (you’ll struggle to get reception anyway) and bring that book that’s been sitting next to your bed unread for months. Bird watch – keep an eye out for the curious Burchell's Courser. Capture the beauty – bring along your medium of choice; sketchbook, camera or canvas and let the natural beauty inspire you. Build a snowman – every so often snow falls within the 1200m above sea-level Gannaga Section of the park, giving an unexpected addition to your photo album for an area better known for its desert-scapes. 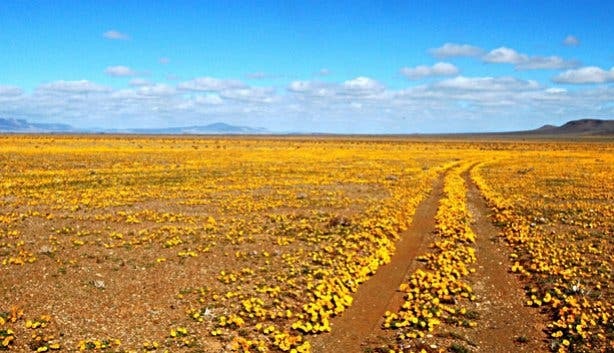 4x4 – The park has two major 4x4 trails called Leeuberg and Watervlei, which requires some skill to navigate, while other tracks in the park are fairly easy going where 4x4ing is concerned. There’s a variety of places to stay, ranging from cottages and guesthouses to informal areas where you can pitch your tent. 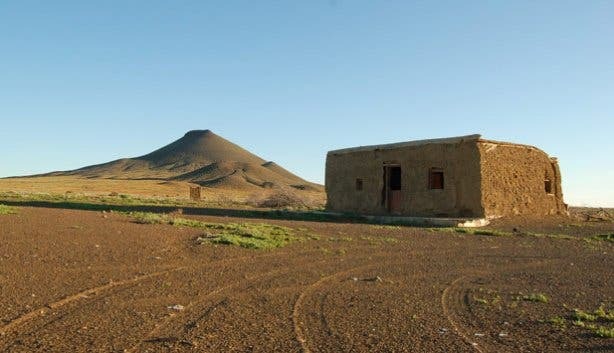 This camp consists of five cottages; all built using unbaked clay-and-straw bricks with sections of walls built with rock. These range from two-sleepers to a two bedroom cottage that can sleep up to six. They all have covered braai areas, gas appliances and linen as well as crockery and cutlery. Paraffin lamps and candles are also provided. Tip: Each cottage has a splash pool (great for kids). This guesthouse is right on the southern border of the park making it a convenient place to stay for larger groups (up to 18 guests) if you’re coming from Cape Town. There are four places to choose from, ranging from a two sleeper to a separate family unit that sleeps eight. These self-catering units are fully equipped with towels and linen, with the three units within the main building sharing a kitchen, living room and a braai area adjacent to the courtyard swimming pool. Catering can also be provided on advance notice. 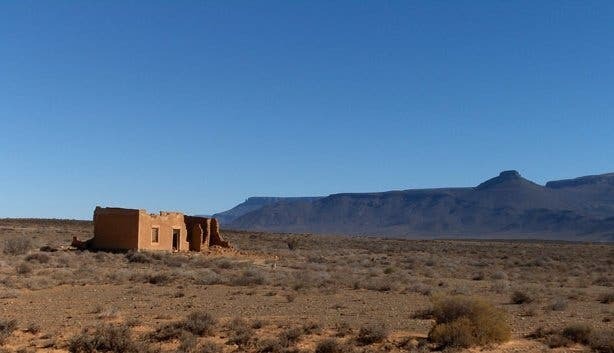 Tip: The accommodation is reminiscent of a desert fort, and is approximately 5km from the Oudebaaskraal Dam and has been used for weddings, teambuilding and film shoots. Plus, there’s a 900m airstrip if you plan to fly in. This old farmstead was restored in 2003, the open plan living room and kitchen are furnished with antiques and the two bedrooms can sleep up to six people. There’s a two-plate stove and a fridge both powered by gas but you’ll have to stoke up the donkey boiler to get hot water for the shower. On a winter’s day, an old wood stove in the cottage provides cosy heat taking you down memory lane to Grandma’s kitchen. There’s no electricity, however candles and paraffin lamps are provided, as well as linen, cutlery and crockery. 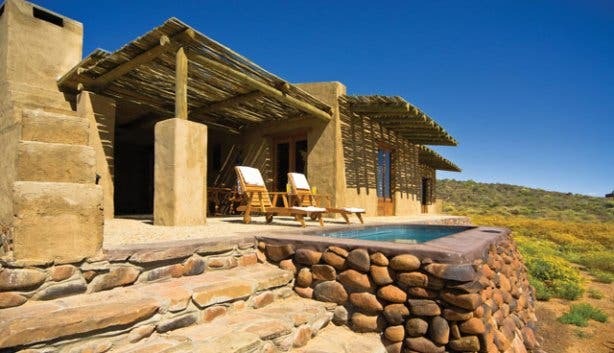 Tip: Enjoy the beautiful views of the imposing Roggeveld Escarpment and plains as well as the antics of visitors to the close-by waterhole while you braai outside. 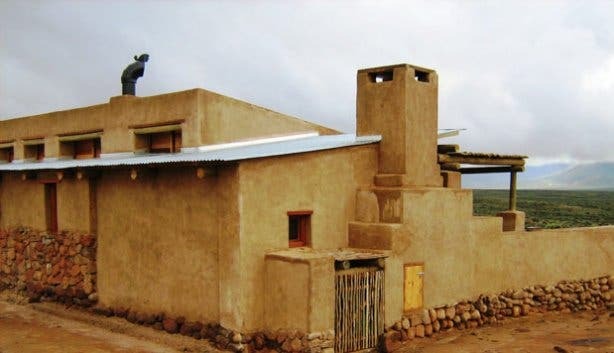 This is also an old farmhouse, restored in 2005, but this one sleeps up to nine people in three rooms. You’ll need a high clearance vehicle to reach the cottage especially in winter. The fully equipped cottage comes with a gas two-plate stove and fridge – hot water can be made using the donkey boiler and paraffin lamps and candles are provided. There are indoor and outdoor fireplaces. Tip: This is a good choice if you’re looking for complete solitude. This old farmhouse, with its traditional stoep and hearth, dates back to the early 1900s and was renovated in 2009. It sleeps up to six in its two rooms with a queen-sized sleeper couch in the living room. Candles are provided for light and there’s a donkey boiler that you can fire up for hot showers. It’s fully equipped with a gas fridge and stove plus crockery, cutlery and linen. Tip: This is a good bird watching spot as there’s an earth dam nearby. There are two camp sites, each with a bathroom and a kitchen area (without cooking facilities). There’s a gas geyser for hot showers, braai facilities (but you’ll need to bring your own grids), a carport and paraffin lamps. The site is in the scenic upper reaches of the Langkloof, 18km from the Park Reception at Roodewerf. Tip: You’ll generally need a high clearance 2x4 vehicle to get there and a 4x4 when it’s been raining. This is a newly developed camping area, which will opened during April 2012. There are six sites, each with their own bathroom and kitchen. Gas geysers supply you with hot water and lighting is by means of solar power. No other electrical points are available. Braai facilities are supplied, but no grids. The campsites are about 10km from the Park Reception and adjacent to the Hoenderhoek tributary of the Rhenoster River. Kudu can be regularly seen strolling among the thick brush adjacent to the campsites and Cape Mountain Zebra has also made the mountainous surrounds their home. Tip: A high clearance 2x4 vehicle is fine, but you’ll be better off with a 4x4 if it’s been raining. There are six areas in the park for self-sufficient campers, each site is reserved solely for the group that books it so you’ll be free to enjoy the area without tripping over someone else’s tent strings. None of them have ablution facilities so this is for those of you that really like to rough it. Come prepared to leave nothing but your footprints behind. This site is on the way to the Langkloof section of the park and you’ll need a high clearance vehicle to reach it (a 4x4 during the rainy winter months). There is some shade under the trees. Tip: Keep an eye out for the kudu and other small antelope that have been spotted in the area. You’ll need a 4x4 to get to this site and it’s a good idea to bring a canopy as there’s no shade. 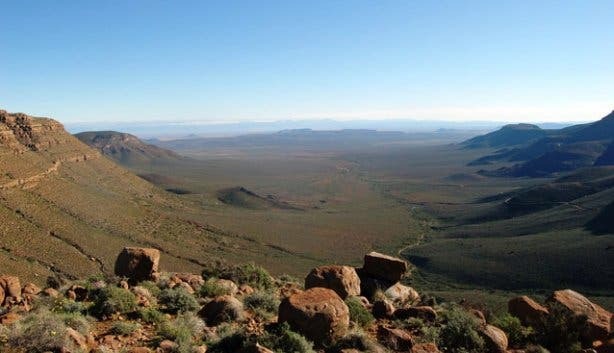 Tip: This site has a spectacular panoramic view of the Tanqua Karoo Basin, with the Roggeveld cliffs in the background. A high-clearance 2x4 will get you there and you can enjoy the shade of the Pepper Tree on this site. Tip: Gemsbok, duiker, Cape mountain zebra and red hartebeest all frequent this hilly area. 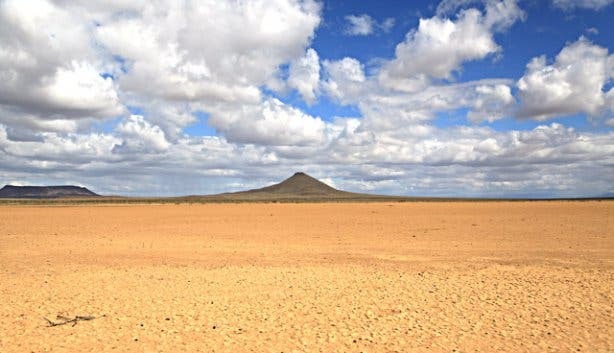 In the rainy season you’ll need a 4x4 to get to this site, which has shade provided by Acacia Karoo trees. Tip: Kudu and other small antelope have been seen in this Langkloof section of the park. You’ll need a 4x4 in the rainy seasons but a carefully driven 2x4 with high clearance will do fine otherwise. There aren’t trees in the area but the site is adjacent to an old ruin. Tip: You might spot the Burchell's Courser in this area so keep your eyes peeled for this famous long-legged inhabitant of the park. If it’s been raining you’ll need a 4x4, otherwise a high clearance car will work. The camp site is near an old ruin but there aren’t any shade-providing trees in the area. 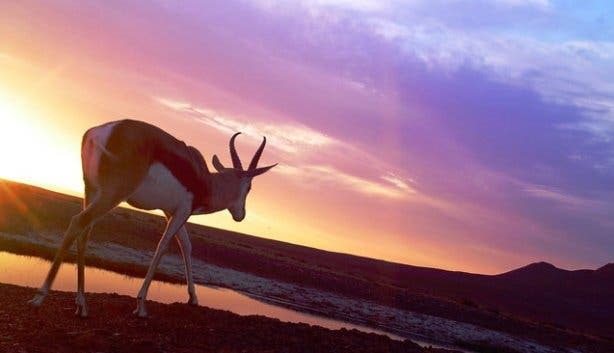 Tip: Look out for Cape mountain zebra and gemsbok. 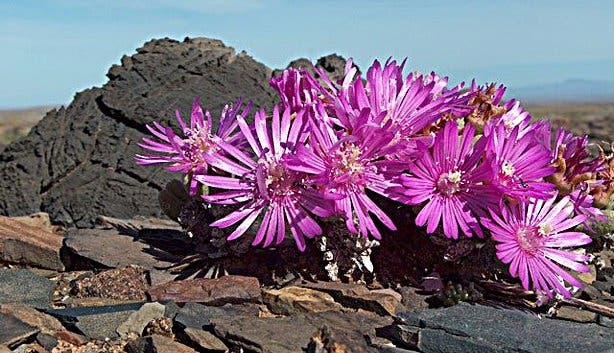 Check out the Facebook album of this beautiful national park and see what else SANParks has to offer and stay in the loop with our monthly and free newsletter and follow us on Twitter and Facebook.